This post originally appeared on Cornerstone Content. I wrote it in my tech blogging days but all the lessons here apply directly to marketers. Given the interest in our recent post about link building and promotion, I thought this would be the perfect time to spend more time on this topic. Enjoy! Content promotion is an art. It requires strategy, time and, most importantly, people. In order to grow an audience and attract attention, your posts – no matter how great they are – need to be effectively promoted on social media, with email marketing and in real life. Here is a look at how to take your content promotion to the next level. If your promotion starts with broadcasting, you are starting in the wrong place. We all want our content to attract attention but the seed of a great post lies in its value to others, not it your ability to make noise on social media. Take a hard look at your current audience and the readers you are trying to reach. If they aren’t reading your work, whose work are they reading? Find out. One of the most powerful assets a blogger has is their network of other bloggers in a niche. It’s time to build that network. Include their work in roundup posts. Send them an email to ask a thoughtful question. Follow them on Twitter, Facebook and Google+. Don’t patronize them. Simply let them know you like their work. Make sure there are links to your own work in your email signature and social media profiles so that it can be easily discovered when you contact people. 2. Plan your topics strategically. Think about promotion before you ever write a word. Depending on the topic, you can identify platforms or groups of people that might like your work. For example, content about technology might get traffic from a Hacker News submission while a post about holiday decorations will play better on Pinterest. Every vertical has websites, social networks and message boards that cater to readers. Examine them. Think about the topics that frequently succeed in your niche and follow their example (and network with the bloggers that write them). 3. Choose the right format. Should you go with a listicle or a case study? A Q&A or a column? There are so many ways to shape your content that it can lead to “analysis paralysis.” First, take a look at these 72 content types and see what feels right. You may also want to align the format of the content with other successful pieces. 4. Shape your content accordingly. I’m a huge fan of Digg. I know that articles featured on Digg get thousands of hits. Here’s a quick look at how I got one of my articles featured on the site by writing it specifically for the platform. I took a look at my vertical: technology. Were there any timely events coming up that might interest a wider audience? (In technology, there’s always an interesting event coming up.) In this case, Internet Explorer’s 18th birthday was just around the corner. I put together a visual history of Internet Explorer and submitted it to Digg the morning of the event. It was featured on the Digg homepage that day and shared on their Facebook and Twitter channels. It delivered an enormous amount of traffic and social shares. And it happened because our team was strategic and prepared. Quote smart people. It provides value to your reader but also gives the quoted person a vested interested in your post. You can take it to the next level by interviewing a leader in your vertical. Link to external resources. “A rising tide lifts all ships.” Don’t be afraid to link to your competitors’ content if it provides value to a reader. Let them know about the link you gave them and ask them to share the content. Use visual aids. Learn how to use Photoshop, Pixelmator or another image editing tool. Even the simplest visuals are proven to help your content gain traction on sites like Pinterest and Twitter. 5. Focus on quality and value. In other words, forget about SEO until after your intelligent, insightful, share-able post is written. Too often content creators fall prey to SEO’s tempting shortcuts. Stay strong. And more importantly, stay laser-focused on creating content that delivers value to your readers. Content written for SEO has a funny habit of failing miserably. Write, edit, edit again, then optimize for search. Mackenzie Fogelson from Mack Web Solutions recently wrote an amazing post on “big” content on the Moz blog. She recently released a 147-page guide on community building and details the experience here. Editor’s note: Vero’s new content strategy (outlined here) is focusing on big content (see it here). So far, it’s working really well (look at the numbers here). 7. Don’t publish during happy hour. So many bloggers are guilty of this. You spend all day working on a great post. By the time you finish, most of the office has gone home or hit up a nearby happy hour. You are so excited about your post that you hit “Publish” at 5pm on a Friday. It gets lost of a sea of disinterest and by the time Monday rolls around, it’s too late to resuscitate your dying article. Plan to publish at peak times. Belle Beth Cooper offers these suggestions on the Buffer blog. Based on this insight, plan for greatness by posting early in the week and early in the day. It gives you time to promote and your audience time to respond. The people on your email list are there because they 1) value what you have to say and 2) appreciate your work enough allow you to communicate with them. Permission marketing is based on trust. If you have a truly great resource for your readers, email them. Just be careful not to abuse this privilege. Their trust in you in fundamental in the success of your blog and your business. 9. This isn’t a press release so approach it differently. Press releases are dead because public relations firms don’t understand how the media works. Luckily for bloggers – who are the new media – your content is much, much more valuable than a press release. Every blogger has gotten a press release asking them to write about a product or person. It’s a cry for help, a shameless sales pitch. When promoting your content, don’t act like a PR person! As a blogger, you have already found a great topic and written an interesting post. The work is done, you are just letting people know about it. Be careful to avoid sounding like PR person … it’s a surefire way to kill interest in your work. Instead, act like a journalist. You want to pitch your content, not sell it. For example, you might email the editor of a popular blog with an excerpt of your post to say “Hey, I’ve got this great article that I think your audience would appreciate.” Or you could @ mention them in a tweet or tag them in a Google+ post. There are so many ways to connect with influential people outside of selling to them. Editor’s note: See how we earned 300+ links and 2,500+ social shares on a single post with this exact strategy. Forget about directory submissions. They don’t work. What does work, however, is posting on submission sites and message boards. There are a number of submission sites that can send hoarded of interested readers to your content if you approach them carefully. Reddit. Self-promoting isn’t outright banned on Reddit but it’s certainly frowned upon. The great thing about Reddit is that there is a Subreddit for just about every topic. The down side is that without a lot of listening, commenting and engagement on your part, your submissions will likely go unnoticed. If you decide to post on Reddit – and you should if your content is valuable enough – make sure you follow the rules. (Each Subreddit has a list of rules on its sidebar.) 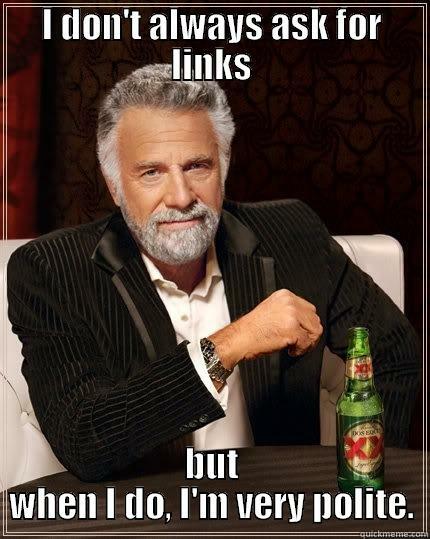 It’s also wise not to lead with a link. Get involved in a Subreddit by commenting and listening before promoting a piece of content. StumbleUpon. You can submit a lot of links to StumbleUpon assuming that they are interesting or noteworthy. Don’t bother submitting news-jacking articles, which are fine to write but require a different approach to successfully promote. Instead, choose your best work and submit it under the proper category. The results may surprise you. Pinterest. Visual aids can improve nearly every post. You don’t need to create an entire infographic but you could select a poignant quote and pair it with a graphic. Canva makes this really easy. You could also create a pie chart or bar graph with tools like Piktochart or Infogr.am. Once you create these assets, Pinterest is a great place to put them to work. Create boards for lots of topics and post your work here. Google+. One of the best features of Google+ is the Communities. Just like a real community, you have to give in order to receive. Get engaged in relevant communities and you will likely find a willing audience when you have something great to promote. 11. Ask for links politely. There is a right way and a wrong way to ask for a link. Here is an example of the right way. You’ve built a good relationship with another blogger. You frequently link to their work, you chat on Twitter and you are hoping to find a time to meet up for coffee soon. Over the past week, you’ve been pouring your heart and soul into an awesome post. It’s a great resource for the community and you know that your audience will eat it up. Once it’s posted, you ask your blogger friend if they would consider linking to it in a future post or sharing it on Twitter. If your relationship is based on trust and value, and your content is as great as you think, it’s highly likely your friend will link to your work. Return the favor sometime. Or, even better, link to their work before you publish. 12. Create content about your content. You can promote your own content internally as well as externally. For example, link to your “big” content on a regular basis in other posts. You should also include your best content in roundup posts occasionally. Build old posts into your social media schedule – Evergreen Post Tweeter automates this on WordPress blogs – to stretch out their life and write follow up posts as your topics evolve. Content promotion is an ongoing cycle. Your network of bloggers will always be growing, your audience will expand and your strategies will become more effective. You will learn where to promote content, who you can rely on for a link and when to publish posts for the greatest impact. Pretty soon, your work will promote itself, leaving you with more time to work on the next great post. Have questions? Leave them in the comments … we love to chat content.